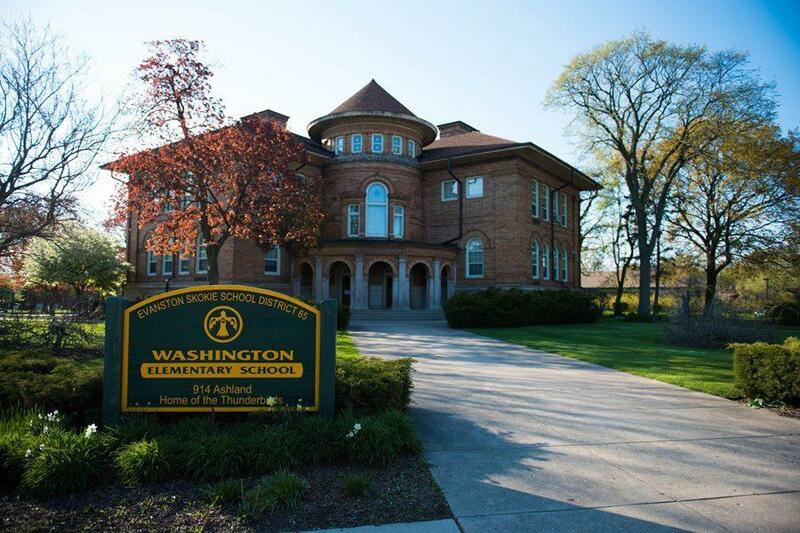 Washington Elementary School is a part of Evanston/Skokie District 65. The board approved teacher contract on Monday after months of tense negotiations. Illinois lawmakers passed a bill Tuesday that would require all elementary schools and daycare centers to test water sources for lead. The bill would mandate lead testing in all public and private elementary schools and daycare centers. The Illinois Senate unanimously approved the bill Tuesday after several changes were made to it, including requiring school districts rather than water providers to pay for the tests. The bill is now at Gov. Bruce Rauner’s desk, awaiting his likely signature. “This bill shows what is possible when we work together,” Rauner said in a statement. The bill is co-sponsored by Sen. Daniel Biss (D-Evanston) and Rep. Robyn Gabel (D-Evanston). Sen. Heather Steans (D-Chicago), whose 7th District reaches into the southern part of Evanston, was the lead sponsor of the bill. The bill requires school districts to collect and test water samples for lead from drinking fountains and kitchen sinks in elementary school buildings built before 2000. Schools built before 1987 must complete the tests by the end of this year, and schools built between then and 2000 have until the end of 2018 to complete the tests, according to the legislation. Elementary schools must also notify parents or legal guardians if any samples with lead exceed five parts per billion. Federal law caps the acceptable level of lead in water at 15 parts per billion. To help pay for testing and any needed repairs, schools can use existing state funds set aside for safety improvements or legal issues, according to the bill. In addition, the bill asks the state’s Department of Children and Family Services and the Department of Public Health to create rules before the end of this year for testing in elementary schools and daycare facilities. Water service companies would need to create an inventory system of lead service pipes that connect to homes. Water providers must also notify residents about construction on nearby water lines. Many states debated similar bills last year following the lead-tainted water crisis in Flint, Michigan. In addition, higher levels of lead were found last spring in several Chicago and suburban schools, according to a statement from Attorney General Lisa Madigan. “Testing drinking water in all Illinois schools and daycares is an inexpensive way to immediately identify and stop lead exposure in young children that would otherwise cost families, schools and government much more,” Madigan said in the statement. Evanston/Skokie School District 65 already conducted lead testing at its schools last spring, said Melissa Messinger, the district’s communications coordinator. The results revealed that water sources in all schools had lead levels of less than three parts per billion, she said. Messinger said that though the lack of state funding for the lead testing is not ideal, the district will still be able to follow the bill’s requirements. Darrell King, Evanston’s water production bureau chief, said the city would offer any technical support and advice to schools if needed. He said Evanston has not experienced any issues with lead since 1992, when the water department added a protective layer of phosphate into the water treatment plant’s pipes, preventing lead from contaminating the water.